Total incidents reported, including traffic stops: 67. Tickets & Warnings: Tickets, 1; warnings, 2. 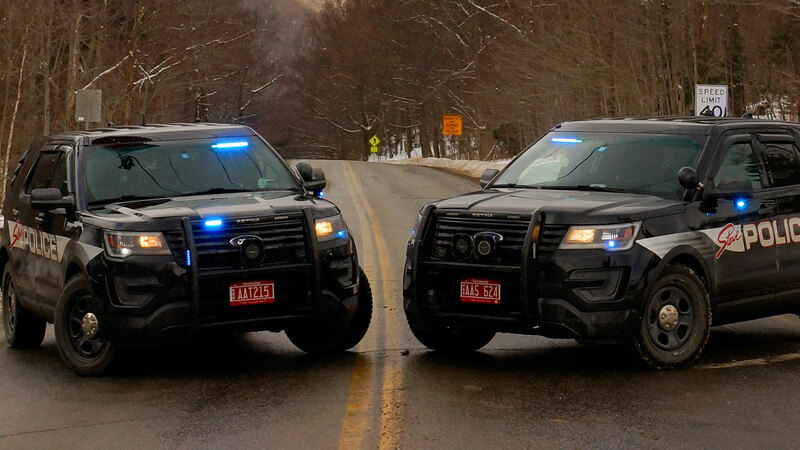 Jan. 8 at 7:41 a.m., a crash in Stowe was reported late for insurance purposes. Jan. 8 at 7:55 a.m., two cars crashed on Maple Street near Shaw’s Supermarket, leading to a warning for one driver for following too closely. Jan. 8 at 11:11 a.m., a couple’s quarrel on Holmes Lane drew police attention and a relief from abuse order for one participant. Jan. 8 at 11:18 a.m., police are investigating a report of a tenant in a Stowe apartment constantly banging on walls and making noise. Jan. 8 at 12:17 p.m., police helped Vermont State Police with an investigation in Danville, and wouldn’t provide any additional information. Jan. 8 at 1:33 p.m., a dog reportedly frequents its neighbor’s property on Glenbrook Road. Jan. 8 at 2:08 p.m., a car off Barrows Road lost its grip on the road. Its owner made arrangements to have it towed. Jan. 8 at 3:46 p.m., police are looking into a civil issue over who gets to keep a dog on Moscow Road. Jan. 8 at 3:52 p.m., police served a temporary restraining order to a Holmes Lane resident. Jan. 8 at 4:31 p.m., police checked on a woman in Stowe whom they thought might be suicidal. She was OK, and planned to follow up with her doctor. Jan. 9 at 2:46 a.m., a car smacked into a guardrail on Route 100. No one was hurt. Jan. 9 at 11:42 a.m., a person headed for a Sylvan Woods Drive home seemed suspicious, but police didn’t find anyone. 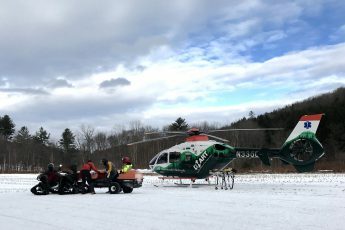 Jan. 9 at 11:51 a.m., police helped Williston Police Department look for a missing person in Stowe. They had no luck. Jan. 10 at 11:15 a.m., two cars crashed at the intersection of Houston Farm and Mountain roads. No one was hurt. Jan. 10 at 11:37 a.m., police arrested Charles Bishop, 55, of Stowe on a warrant from Springfield, Vt., police department. Jan. 10 at 3:33 p.m., two cars crashed at the intersection of Main and School streets. No one was hurt. Jan. 10 at 3:48 p.m., a pair of skis was returned to its owner. Jan. 10 at 5:08 p.m., a person who reported feeling suicidal was taken to Copley Hospital. Jan. 11 at 1:01 a.m., a car went off Weeks Hill Road. Jan. 11 at 1:09 a.m., the driver of a car parked on Waterbury Road was getting some beauty sleep when police asked him to move along and catch his Zs someplace else. Jan. 11 at 1:32 a.m., a parking ticket was issued on Main Street for a violation of a winter parking ban. Jan. 11 at 1:39 a.m., a car key was found on Waterbury Road. Jan. 11 at 5:05 a.m., police helped the U.S. Department of Homeland Security and the Vermont Attorney General’s office serve a search warrant for Scott Vogel, 57, on Farm Lane. Police didn’t have any more information. Jan. 11 at 3:31 p.m., police cited Albert Kumin-Hachmann, 27, of Stowe with driving under the influence after his car went off River Road. He refused to provide a breath sample, and no tickets or warnings were issued. Jan. 11 at 5:14 p.m., clothing was allegedly stolen from AJ’s Ski and Sports. Police are investigating. Jan. 12 at 2:45 a.m., police helped Stowe Emergency Medical Services check on a person on Brush Hill Road having a mental health crisis. Jan. 12 at 11:08 a.m., a man on Weeks Hill Road felt threatened by a contractor over payment for work. Jan. 12 at 12:09 p.m., police checked out a parking lot crash on Mountain Road. No one was hurt. Jan. 12 at 3:41 p.m., a Piecasso customer claimed his order was incorrect and rang warning bells in employees’ heads about a potential scam for a free lunch. Jan. 12 at 4:03 p.m., a Thomas Lane resident reported missing was just at his doctor’s office for a routine check-up. Jan. 12 at 4:44 p.m., a West Hill Road resident asked police to watch his or her property. Jan. 12 at 8:02 p.m., police checked on people spending the night at St. John’s in the Mountains Episcopal Church. Everyone was fine. Jan. 13 at 8:49 a.m., police shut down Harlow Hill to help a few drivers off the road after the steep hill got the best of them. Jan. 13 at 11:48 a.m., a two-car crash on South Main Street didn’t cause any injuries. Jan. 13 at 3:50 p.m., a car broke down near the intersection of Route 100 and Moscow Road. Police helped get it off the street. Jan. 13 at 5:13 p.m., two cars crashed on South Main Street near Sylvan Park Road. Jan. 13 at 6:39 p.m., a woman heard a loud noise in her basement. When police came to check it out, they found one of her pipes leaking. Jan. 13 at 8:30 p.m., water running across Mountain Road was checked out by the Vermont Agency of Transportation. Jan. 13 at 10:11 p.m., police controlled traffic for VTrans as crews worked on that culvert. Jan. 14 at 11:17 a.m., police checked out a crash on Mountain Road and wouldn’t provide any more information. Jan. 14 at 12:20 p.m., a woman got an obscene phone call. Jan. 14 at 1:13 p.m., an employee was refusing to leave a Mountain Road business. Police would provide no additional information. Jan. 14 at 4:52 p.m., three cars crashed on Mountain Road, but police wouldn’t say whether tickets or warnings were issued or whether anyone was hurt. Note: Charges filed by police are subject to review by the Lamoille County State’s Attorney’s Office and can be amended or dropped.